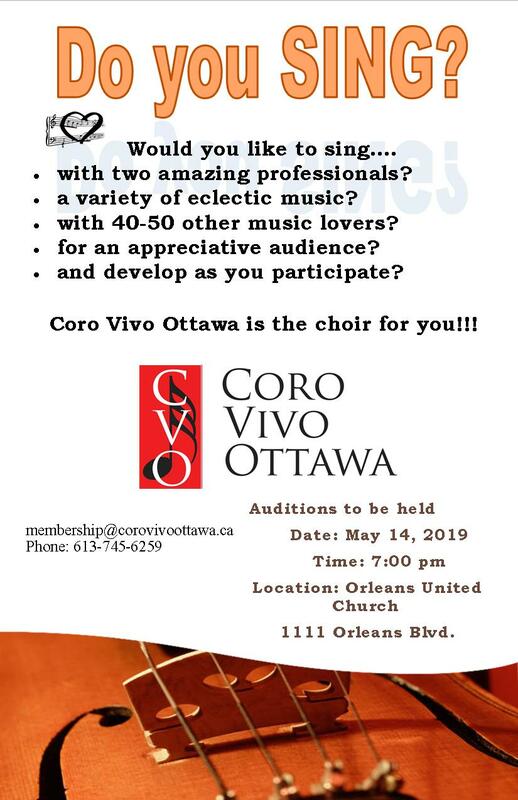 Coro Vivo Ottawa is a vibrant, friendly, community choir attracting members from across the National Capital Region. 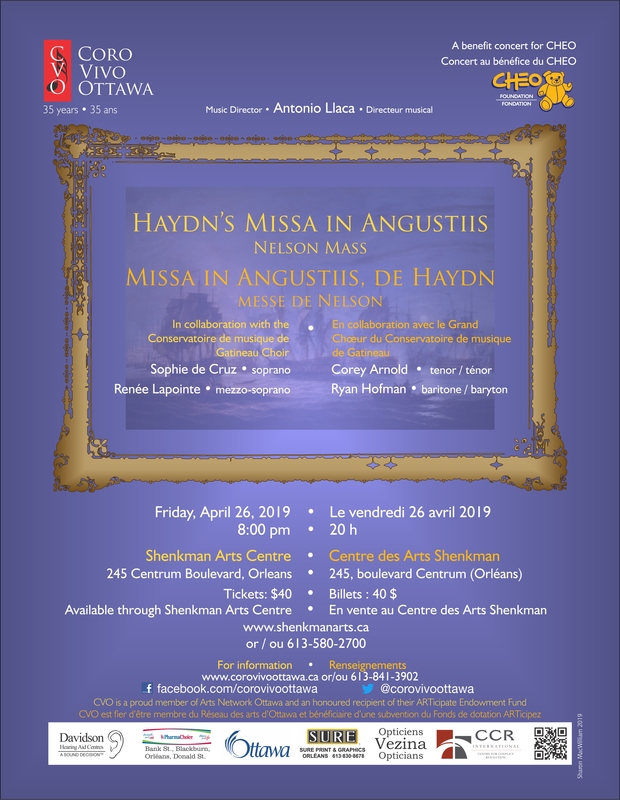 We perform two to three major concerts per year and sing an eclectic repertoire; from classical works such as Brahms Requiem, through Opera choruses, music from Broadway shows, and Folk music from around the world. As our 35th season gets underway, I’d like to share with you some exciting news about our upcoming concerts. The 2018 – 2019 season is of particular significance to me as this year marks the 10th season that I have shared with Coro Vivo. For the past nine seasons, I have had the honour of producing over 25 CVO concerts and sharing our music with over 8,000 concert-goers from across the National Capital Region. In addition, we have collaborated with several exceptional orchestras and choirs, and have toured nationally and internationally. I’m very proud to be entering the 10th season at the helm of this strong, capable and talented group of singers. Coro Vivo feels a strong commitment to its community, and is proud of this relationship and the spirit of mutual support. Members of the choir perform at senior residences, hospitals and civic events. The choir also performs special concerts for sponsors and participates in fundraisers for other community organizations. Since 2006, Coro Vivo has made its spring concert a benefit concert for CHEO. Coro Vivo is very fortunate to have donor support from its community. In addition to providing these sponsors with recognition in concert programs and on the website, the choir encourages its members to support these businesses in their daily activities.